“TILL IT’S GONE” presents a selection of artists who undertake conceptual research on nature and focus on ecological issues in their artistic practices. The artists are from various generations and have intricate relationships with the concept of sustainability; they bring to bear diverse interpretations and insights pertaining to the interaction between human beings and the ecosystem. The exhibition features paintings, sculptures, installations, photographs, and moving images by twenty artists and art collectives from Turkey and other geographies. *Yoko Ono's installation is on view until March 20, 2016. 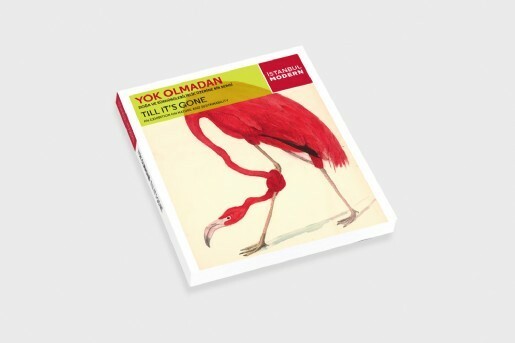 Published bilingually in Turkish and English, the exhibition catalogue includes photographs of the works in “TILL IT’S GONE” as well as three new articles. A text coauthored by the curators, Çelenk Bafra and Paolo Colombo, presents the conceptual framework of the exhibition. An article by Richard Heinberg, an educator and environmentalist known for his work at the Post Carbon Institute, seeks an answer to the question of “why sustainability?” And the art historian Dr. Roger Cook’s article “Good Air My Friend: Art for the Anthropocene” interprets art’s relationship with nature in the context of the works in the exhibition.